Price: Variable price We offer the apps at a subscription model. The monthly fee is from 199 Euro with an initial fee of 999 Euro. Until now, a webshop owner had only two option: a tailor made app costing over 50.000 Euro, or a one-size-fits-all template app. 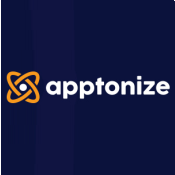 Apptonize offers what you really want: a topquality-app, with a flexible design, without that pricetag. Request more information by clicking ‘install app’. We will get in touch and show you wjhat apptonize can do for your webshop. We will show you various examples of succesful shopping apps (Zalando, Bol, etc.). You tell us which ones you like best. This is the quality we are going to deliver. Inspired by these examples as well as your website/identity we will deliver your tailormade shopping app. We take care of everything and make sure your apps are launched in Google Play and the Apple Appstore. Tailormade design, very fast, intuitive & easy to use, full functionality, fluent checkout, full back-end integration (Lightspeed). We offer the apps at a subscription model. The monthly fee is from 199 Euro with an initial fee of 999 Euro. 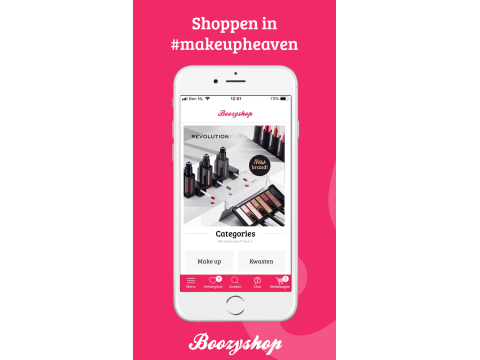 Please visit www.apptonize.nl/prijs to see the pricelist. The costs for Google Play are 25 Euro one-off. The Apple Developer program costs 99 Euro yearly. Will it cost me a lot of time? During the process of app creation we making sure it will only cost you a minimum of management-time. After the launch the apps do not require much extra maintenance on your behalf. Because of the full Lightspeed integration. Which functionalities may we expect to be in the apps? In short: if the Lightspeed api offers it, we offer it. Filters, brands, specifications, reviews, related products, order history, et cetera. The apps have a wishlist, you can reach your customers proactively with push messages. And the Payment Service Provider? We integrate your Payment Service Provider (PSP) in a way that payments wil be handled in the same way they are handled in the website. Do you offer every functionality we can think of? As Software As A Service we only offer the functionalities we have already developed and tested. We do like to hear new requests as input for our continuous development. The design (look & feel) we can make uniquely just for your shop. Read more about Apptonize on our website www.apptonize.nl. Contact us via support@apptonize.com, call 020-2390881 or send a Whats app message via 06-53369966.